Euronews is today embarking on a two-month road trip to capture the spirit of Europe's people ahead of European elections at the end of May. Beginning in Lisbon our journalists will travel through Spain, France, Italy, Greece, Bulgaria, Romania, Hungary, Austria, Czech Republic, Poland, Germany and the Netherlands before arriving in Brussels on the eve of the vote. For each leg of the journey, two Euronews journalists will travel together listening to people outside of the major cities. Look out for our red sofa which will be travelling with them. 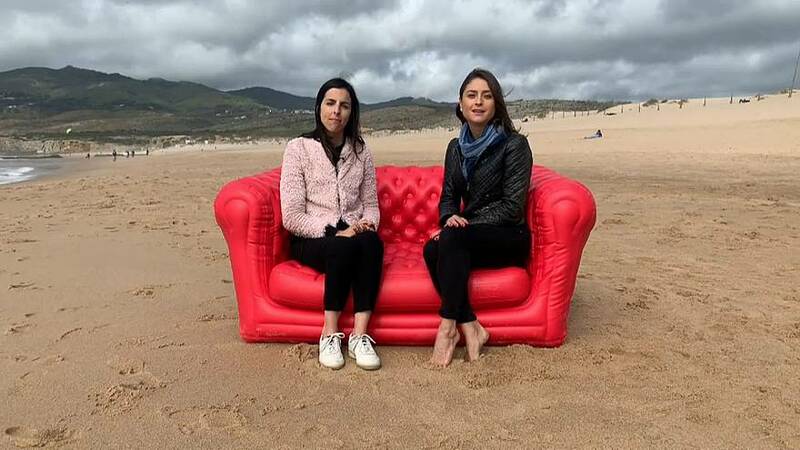 Anelise Borges and Filipa Soares are taking the first leg, looking at the economic rebound of Portugal and whether the positive developments are being felt by its people.